KTBYTE is a computer science education academy that offers a progressive curriculum for students 8-18 years old. Classes are primarily taught in Java and are offered in-person and online. Sign up for a free trial to get a personalized recommendation. 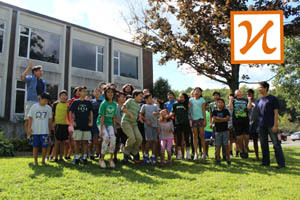 KTBYTE offers a progressive curriculum designed for students 8-18 years old that was started in 2012 by a group of Cornell computer science majors. Their mission is to provide a comprehensive computer science learning experience without compromising on the rigor of the course material. The academy offers both in-person and online classes, and their instructor-developed unique learning tool won the national 2013 MIT Lincoln Lab competition. All of the curricula, technology, and content used are completely developed by KTBYTE staff. Classes range from digital literacy and Scratch Programming to college-level courses and preparing students for the national USA Computing Olympiad (USACO). The course content is primarily taught in Java, and all instructors have extensive teaching experience. Most of KTBYTE's students are from the Greater Boston area, but they also have students from all over the world that participate in their online courses.